The popular ArmA II mod has suffered a serious security breach. 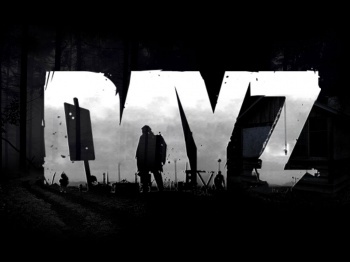 Popular zombie-survival-horror-funtime ArmA II mod DayZ has come under attack from a hacker "known to" one of the game's developers. The attacker breached and vandalized the game's forums before dropping some nasty software into its server space, leading some to hypothesize that the breach might carry the risk of creating a botnet. Players are advised to follow the usual post-breach protocol, starting with changing their forum passwords. Anyone who downloaded a file named "dayz_auto_updater.exe" from the game's US mirror is advised to peruse this ThreatExpert.com report on the nasty little .exe and direct their anti-virus towards it. The developers also say that the server hosts "who provided us with RDP details are comprised and need to thoroughly scan their server for the same type of processes and change their servers' RDP details and to NOT ever give the RDP details out to anyone *including DayZ* from now on." Whew. According to information posted on the game's forums, the developers are now pursuing legal action against the attacker. Initial fears about a massive botnet spawning from the incursion were brought under control by Dean "Rocket" Hall, one of the game's lead developers, who reminded players that his group only has RDP/Admin access to 15% of its host servers. We'll keep an eye on the DayZ forums for any updates, including clarification on the legal avenues open to the developers. It's worth remembering that the team behind the game is composed entirely of volunteers, so it might take a little longer than usual for this snafu to come unwrangled. In the meantime, there are probably a thousand puns and wordplays about a zombie game falling to "infection" waiting to be made. Knock yourselves out, Escapists.